By the pricking of my thumbs something wicked this way comes. Halloween is a great time of year! Even though Fall officially begins in the middle of September, for many Halloween is the first time that it feels like Fall in the Philadelphia area with red and orange leaves falling and the brisk weather. Halloween also starts the wave of seasonal holidays. In my house once the Halloween decorations go up there will be seasonal decorations until New Year’s Day. The jack-o-lanterns and fake spiders will closely be followed by Thanksgiving, Hannukah, Christmas, and New Years. 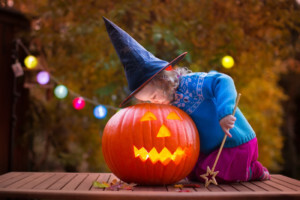 Halloween traditions change vastly when you look at different cultures around the world. Did you know that in Ireland instead of creating Jack-o-Lanterns out of a pumpkin they use a rutabaga? Try to google the photos, just a warning it can be terrifying, but how cool is it that something we think is normal can be so different in a country just across the ocean? For kids the focus goes to what costumes they will wear. Recently I was listening to the radio and one of the DJ’s was talking about different options they were considering for their young twins to wear and hearing the joy and fun that people had in their voices when thinking about being creative for dressing up was so much fun. So why is it fun to dress up Halloween? Why is it fun to pretend to be someone that you’re not? I’m sure there are many scientific or psychological reasons behind it, but I would imagine that it is simply nice to take a break every now and then from who you are. When you dress up as someone else your worries, struggles, and mindset all change, even if it is for a few hours! While Fall is a time full of fun and holidays, it is also a time of the year when a lot of people are ready for a change and start the process of looking for a new job. In the spirit of the holiday here are 3 “treats” for you to keep in mind as you are job hunting this season. While costumes and dress up is fun during the Halloween season it is important to be nothing but yourself when interviewing for a new job. Interviews can be tough and scary because you are being asked a lot of detailed questions about your experience and skill set. Ideally you want to find the right company and position that matches up with your background. When you apply to a position where the salary range is clearly stated, don’t apply if that is not a number you are comfortable with. It would be like going to buy a new television that is promoted all over town for $800 and finding out after you get to the cash register that it is really $1,150… you be annoyed, feel like you got duped, you might even start yelling at the minimum wage employee behind the counter. And you would be justified in your frustration, you were told 1 price and then found out that price was a lie. So save hiring manager and recruiters a lot of headaches and just be honest. While you might feel like the star of the show on Halloween with your costume that you spent months on, there are thousands of other people who feel the same way. So remember when you go in for an interview the same principles apply, it’s not all about you. You are walking into a functioning business with a number of employees, deadlines, and tasks that need to get done. Multiple people are taking time out of their busy day to interview you, their days are probably crazier than usual since they are down an employee if they are hiring. So do them a favor and make a good first impression, be on time, heck be 15 min early. There are few things that look as bad as being late to an interview, it rarely ever turns out well for the interviewee, though there are always exceptions just like in the movie He’s Just Not That Into You. Time is precious, especially in business so be respectful of the interviewers time and don’t show up late. Also even though you are the one being interviewer make sure you show interest in the company and industry. It’s not just about what the company can do for you, it’s about what you can do for the company. 3 – Whatever Happens… Have Fun! Halloween is FUN, when done right. Weather you go trick or treating, go to a costume party, curl up on the couch and have a Halloweentown throwback marathon, whatever you choose to do it is a holiday that should be enjoyed. The same is true with interviewing. Enjoy yourself, you’ll be more relaxed and better able to answer tough questions. 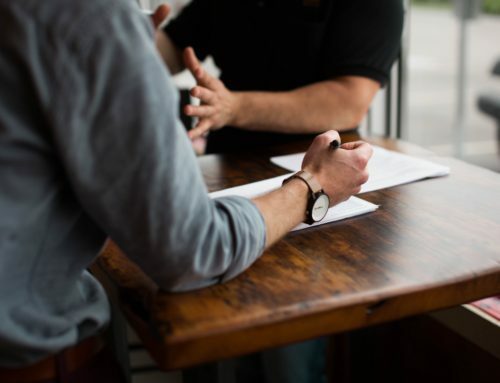 Also your interviewers will get the chance to asses your true strengths, weakenesses, skillsets, and experience if you are relaxed enough to give them a clear picture. Then they can compare that to their company, open position, and culture and honestly tell you if you would be a good fit in the position. 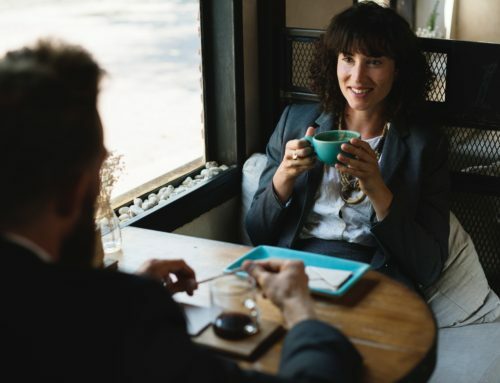 The answer might be no, if it is the interview wasn’t a wasted opportunity instead it was an opportunity that you took full advantage of and gained experience. Hopefully it prepared you to be even better in your next interview, when you find the right position and the right fit culturally. There you go, 3 strong tips of advice, that it’s not a costume contest, it’s not all about you, and whatever happens make sure you have fun, that can be applied to both your upcoming Halloween celebration and your upcoming job interviews.